and the will to govern each race. the Dark Lord Sauron forged, in secret, a master ring. and his will to dominate all life. 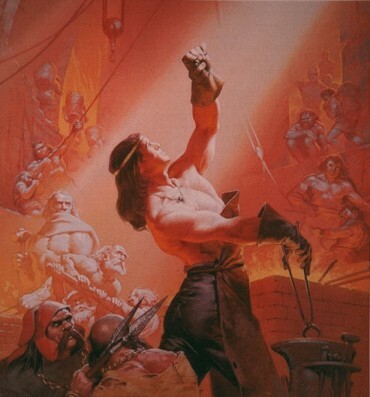 Ve'dui, visitor in the smithy of the Lord of Eregion, Celebrimbor, sun of Curufin and grandson of the great Feanor. Feel free to look around, but do not touch. The things you find here are very valuable, such as the Rings of Power and the History of the Gwaith-i-Mirdain, their city Ost-in-Edhil and the War of the Last Alliance and ofcourse, Celebrimbor himself, who sought to make a work equal to the Silmarills his grandfather made.